The Opa-locka Community Development Corporation's (OLCDC) mission is to transform under-resourced communities into vibrant, desirable, engaged neighborhoods by improving access to health, education, employment, community development, art, safety and affordable housing. La misión de la Corporación de Desarrollo Comunitario de la ciudad de Opa-locka (Opa-locka CDC) es transformar comunidades de bajos recursos en vecindarios vibrantes, deseables y activos mejorando el acceso a la salud, educación, empleo, desarrollo comunitario, arte, seguridad y viviendas asequibles. As part of OLCDC's commitment to Financial Empowerment, we conduct workshops for youth, adults and seniors on a monthly basis. 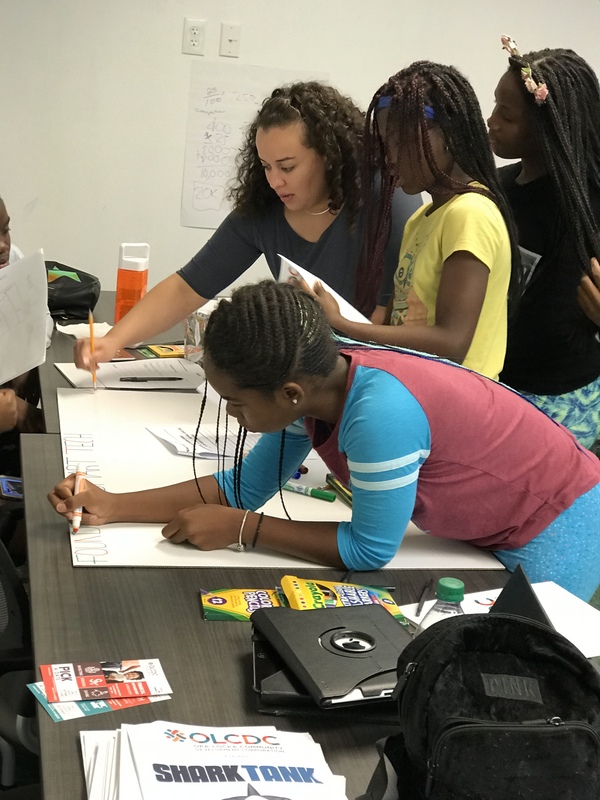 Pictured here are some youth partaking in a Financial Empowerment workshop as part of our summer camp. Youth acquire the skills necessary to successfully manage their money, including budgeting and understanding credit.